Great games, food, beverages, service and friends at the Sundance Casino. Why be anywhere else? Join our "Play for Fun" community from anywhere in the world. Powered by SpinRUSH® Games. Sundance Casino is just down the street from our sister properties; hotel property, Winners Inn Casino and the sports bar, Pete's Gambling Hall. Situated near all the downtown shops, the Sundance Casino is right across from the Winnemucca Convention and Visitor's Center, and is only a 15-minute walk from the Humboldt Museum. 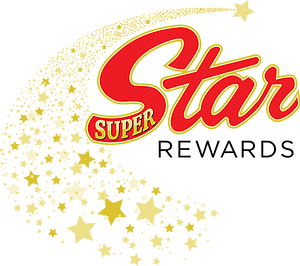 Be a Super Star! and join our Super Star Rewards Program Today! Play and earn star points for special offers, discounts and much more at all Cashell's fine properties! See the Start Rewards Desk for more details. Experience all that Winnemucca‎ has to offer!